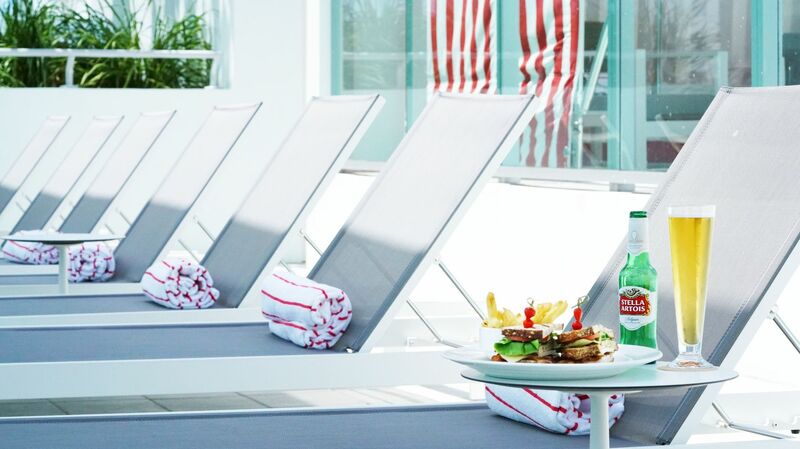 Experience unparalleled comfort, convenience, and style at our one-of-a-kind Brickell rooftop bar, Vista Pool Bar. Located just steps from our stunning infinity edge pool and selection of intimate private cabanas, Vista Pool Bar offers guests a delicious menu of signature tapas, refreshing craft cocktails, as well as incredible views of the Miami city skyline and bay. Everything you could need is right at your fingertips when you visit our Downtown Miami rooftop bar. Check out the Vista Bar menu and plan your visit to Atton Brickell Miami today! Happy Hour will take place daily from 4:00 pm - 7:00 pm.